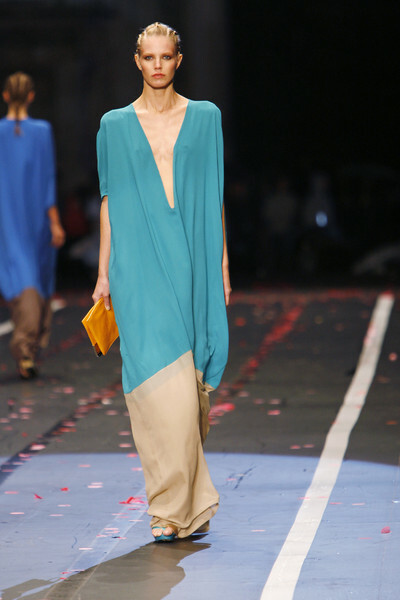 C’N’C Costume National Catwalk Fashion Show Milan SS2011. 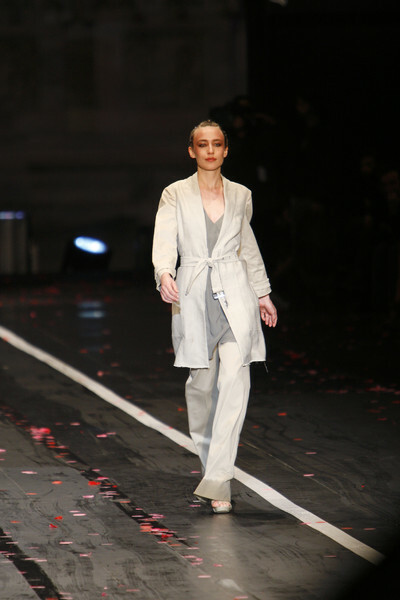 Since the C’N’C fashion show was held outside, at the Piazza Duomo thousands of people could have the joy of watching a live fashion show. But before the models came on there was music and there were dancers as part of the Milano Loves Fashion concept. 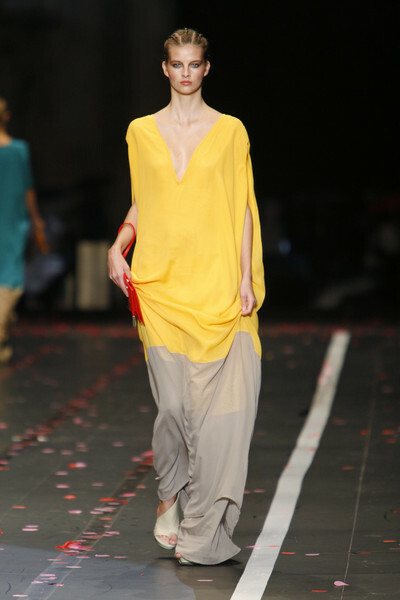 For spring 2011 Ennio Capasa presented womenswear and a few menswear looks. He chose white and gray as his main colors, but towards the end he added nudes and brights like yellow, blue and red. 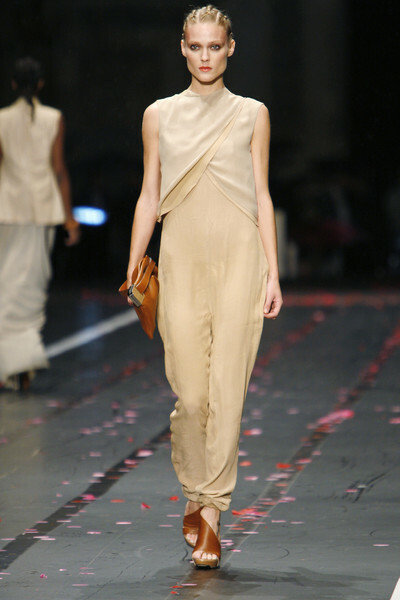 His maxi dresses, tunics and bandeau tops looked easy going and elegant, but didn’t make our fashion hearts beat faster. Yet it was a good collection and it’s just great that so many people could enjoy it in the centre of Milan.